together with a personal, in-depth analysis of your specific needs, abilities, potential and future. 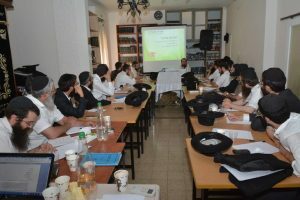 After many years of being engaged in providing professional, expert advice to Shluchim in all aspects of fundraising, helping to create financial stability for the Annual Campaign and to raise mega dollars for the Capital Campaign, I continue, Baruch Hashem, to provide knowledge, skill, and experience to many Shluchim, both those just getting started and those in the field for many years. BARUCH HASHEM I HAVE THE EDUCATION, TRAINING, AND EXPERIENCE YOU NEED. After years of professional consulting, it is clear that what MOST Shluchim need, after creating an exciting Fundraising plan, is the systematic implementation of the plan, carried out in a methodical way. Being accountable on a weekly basis, having to follow through on the week’s goals, and having to report regularly on progress, is the most guaranteed way to ensure success. BARUCH HASHEM I HAVE THE PATIENCE AND PERSEVERANCE NEEDED TO HELP YOU. Gaining a clear understanding of where you’re headed and where you should be headed! BARUCH HASHEM I HAVE THE KNOWLEDGE TO HELP YOU DEFINE YOUR STRATEGY AND DIRECTION. One of the greatest challenges Shluchim face, especially younger families, is the never-ending juggling between personal, family, and organizational needs. As all three require focus time and attention, success must blend all three together in a holistic, Chassidishe way. Learning and obtaining the tools needed to accomplish the above is no easy task, yet a doable one. BARUCH HASHEM I HAVE MASTERED TIME MANAGEMENT AND IY”H CAN HELP YOU AS WELL. 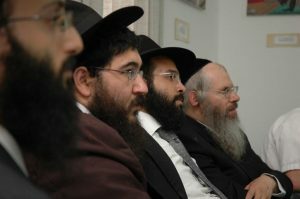 Over the last three decades, more than 1,000 Shluchim participated in my Fundraising and Time Management Seminar. Seminars have been given in New York, New Jersey, Florida, California, Arizona, Toronto, Montreal, Australia, Argentina, Brazil, Ukraine, Russia, Israel, France, and England. In addition, many Shluchim have invited me to speak on specific subjects of their choosing to the Shluchim of their state or city. 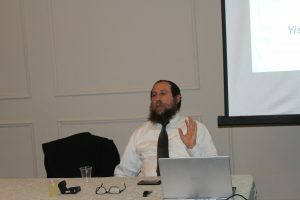 BARUCH HASHEM I HAVE THE ABILITY TO DELIVER CHALLENGING AND THOUGHT-PROVOKING SEMINARS AND LECTURES. Are the units based on your entire budget, or the part you have to fundraise? The unit system is strictly for the balance of what you have to raise. The amount of the unit should be what you feel you can ask and get from most of your better donors, so a Shliach just starting out would set as a unit not more than $1,200. Being on Shlichus several years you can make that unit $1,500, more years on Shlichus you can bring it up to $1,800 and so on. Your top 10 or so donors you will ask to give multiple units as many as 20, 15, 10 and slowly work your way down. I feel totally overwhelmed with tasks and a lake of sufficient time, what do I do? Your question requires an in-depth understanding of how to deal with the million-dollar question, “how do I maximize my time and be most productive?” I’m going to give you a tip, rather than go into the depth of understanding how to allocate time to various projects and tasks and how to prioritize. When you come in to your office in the morning and you feel overwhelmed with tasks: responding to emails, following up on phone calls, sending personal thank you letters, dealing with piled up mail which requires attention, scheduled meetings and more, usually this feeling causes you to waste a lot of time, because whatever you begin to do you feel there is still so much more to be done, your not sure if this is the right thing to do first and you end up moving from one thing to another and not really doing much to complete any of the items your dealing with rather touching upon items and not completing them and then jumping to another item and there again not completing that item, which becomes a vicious negative cycle, at the end of the day you feel you worked so hard and you’re not really sure what you accomplished because even those items you dealt with there is still so much left open-ended. The best thing you can do in this situation is take a small piece of paper and write down several items you want to accomplish TODAY. It may not even be the highest level priority, but the mere fact that you will make a list of items to be done today and then you begin to do one at a time from A to Z make sure to finish it completely before moving to the next item, in no time will you feel in control and as a result you will most likely complete the list and then do some more. I recently heard a recorded lecture of yours about hatzlocho b'zman and found it extremely valuable and helpful. It is amazing how revolutionary such basic advice can be when it is expressed so clearly and decisively by someone who really gets it. Thank you. You know when to ask, because your asking only once a year for an annual commitment, as such the larger the potential donor is the closer to the beginning of the new fiscal year you want to obtain his commitment for the year. You know how much to ask because in your plan you identified all your potential donors and put reasonable amounts next to each as a set goal (this you did based on past giving, potential and relationship), How to ask becomes a little more complicated because even after you have your act together you still need to learn how to ask, my advice would be to read some books on salesmanship, take a Seminar on sales or the like, with time your experience becomes your best teacher on how to make a successful ask. Read below what a Shliach writes to me on this subject. Reb Yisroel, I’m sending you this email to thank you because your fundraising principles have made a big difference in my attitude towards fundraising. I started reading your articles in compass magazine, and the idea of an organized annual campaign resonated with me much more than going from program to program. A friend of mine also quoted your ideas which kept you in the back of my mind. A few months ago, as I continued reading your column in the compass I decided that I was going to implement it and began creating a budget. In the last few weeks I started calling and I’ve shown the presentation to several baalei battim, some who were already giving and some who I’d never met. So far, I’ve not received a single no. I’ve received commitments of about $6,000 more than I was already receiving from these people, with several more meetings already in the schedule. With a total annual budget of about $65,000, that’s quite significant! The biggest miracle though, is that I actually picked up the phone and called. I never had the confidence to talk about money, even with people who I knew, Kal vchomer people whom I’ve never met. Now that I have this system, I won’t say it’s the easiest thing but I have the confidence knowing that my presentation speaks for itself. I’m not the one asking, the moisad is doing the ask. And for that I’m really grateful. 1. Mega potential donors - to be cultivated on a very personal 'retail' level. 2. Unit donors - to be cultivated frequently but on a more 'wholesale' level. 2. General mass donors - technical cultivation. 1. Mega potential donors: are those who you keep an on-going personal, genuine and creative relationship. Making sure to activate one of the most important rules in general and specifically with professional cultivation "Always record your next step immediately" this has to be done religiously, consistently and with dedication of thought process, that's why we call it the 'retail' process. Usually this type of cultivation is done to just a few people, not more than 10 or so. 2. Unit donors: these are your donors who contribute at least one (or half) a unit annually. They are to be cultivated with a system to keep them informed regularly of what you're up to, accomplishments, new goals etc. of course not to overdo it and NOT to send long text, but rather pictures and captions and thanking them for making all this possible. These regular emails should be done so the donor really feels it's a personal email and not a mass one. You can do it by every once in a while adding something personal at the beginning or end of the email. Usually this type of cultivation is done to as many donors as you have, giving at least one (or half) unit, from my experience anywhere between 10/20 and 50 donors. You most certainly can send these emails to the Mega potential donors as well, ALWAYS with a personal note with it, so it's very clear that it's truly personal. The unit donors also must receive from time to time a phone call, either wishing them a good Yom Tov, inviting them to an event etc. 3. General mass donors: they are the ones who send in something for the Calendar, a High Holiday gift, Yahrzeit, Yizkor appeal, Yearend campaign, Raffle purchasers and of course the popular Charidy campaign, they are to receive several emails throughout the year, could be a quarterly email, again no long text rather impressive pictures and short captions and thanking them for being supporters of Chabad. You will always be looking who from level 3 could and should be brought up to level 2, even though this donor is not yet a unit donor but does have the potential and therefore you want to do the cultivation as if he is already a unit donor, the same goes for bringing up a level 2 to 1 even if that person is not yet a Mega donor but does have that potential. What's important is that numbers 2 and 3 should be planned in advance and put into your calendar at the beginning of the year so you set a good schedule of events for each category. As mentioned in the beginning, this is a general good structure to follow, if you or any Shliach has any further questions I will be happy to address them. The truth is that ANY structure, weather the one outlined above or one you want to do either in more or less detail, is ok as long as it's consistent with a plan for the full fiscal year. In response to your question how to define a donor unit " Since mosdos have wildly varying budgets"
50 such donors. Also two half units makes up a full unit, so you may have potential donors not ready yet for a full unit but can get them in for half a unit. Usually the one top level donor we strive to be somewhere in the 10% level of the entire fundraising goal. BTW a Shliach just starting and needs to raise only $60,000 then a unit can be $1,000 to raise 60 units or $1,200 and raise 50 units. The very important item to know is that this is NOT a gimmick to get a donor to give you money and more then he may have given otherwise, this is a chart derived AFTER working very hard at creating a true, honest budget and you really know what you need that need becomes your fundraising goal and then you divide it into units and then you go seeking the donors to help you reach your goal. 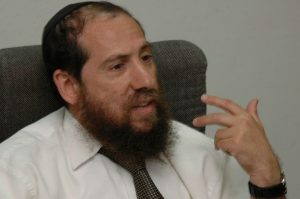 Rabbi Yisroel Brod, of Kfar Chabad, Israel, is a master fundraiser, fundraising coach and consultant. 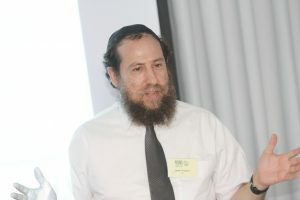 40 years of experience working in the field and learning and understanding in-depth the secrets of the profession have led Rabbi Brod to develop a unique fundraising system, one which resonates with Shluchim in the many states and countries he has visited worldwide.